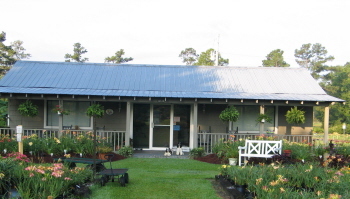 We are only open by Appointment, so please be sure to call 843-240-2532 before you come visit! We are open by Appointment Only, so please be sure to call 843-240-2532 before you come visit! Check out our new 2019 introductions here! The 2018 National Convention was a huge success!!! Be sure to check out the seedling gallery. Attention Daylily Clubs! Place your club order with us and we will ship double the value of your plants. This is for clubs only and minimum order is $500.00 and must be paid for with a club check. If you are looking for a speaker, Charles and Heidi are available for presentations. Just call and we can confirm a date. 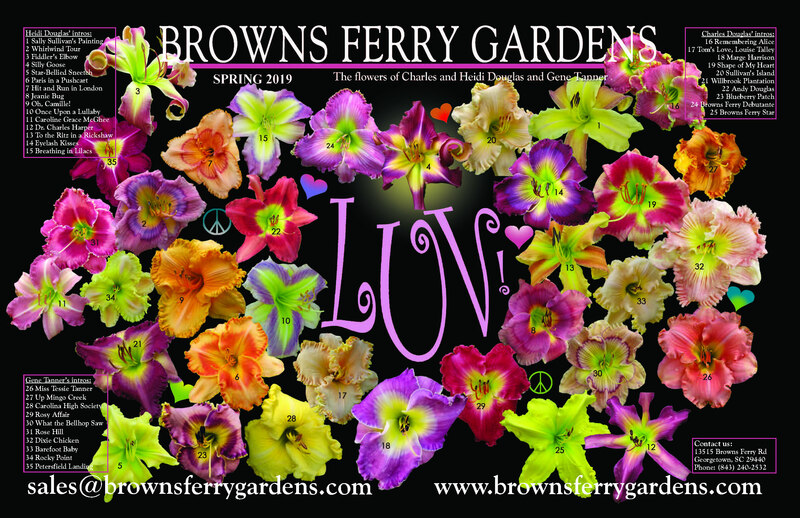 Charles and Heidi are usually in the garden on the weekends (except when traveling to speak to daylily clubs), but if you would like to speak with them, feel free to call any evening at 843-546-6419. We love to hear from all of you! We guarantee our daylilies to survive and be true to name for 12 months after they are shipped. If you have any issues, please contact us immediately for a replacement or credit. Visitors will also find a comfortable sales office with a clean restroom, air conditioning, and couches. There are also rocking chairs and a swing on our large front porch that overlooks thousands of daylilies. Thank you for your continued support. We hope you enjoy our website. Order minimum of $500.00 worth of daylilies and receive at least double your value!! Must be paid for with club check. Shipping costs will be determined at time of shipment. AVAILABLE IN ANY DENOMINATION. JUST CONTACT US VIA EMAIL, PHONE OR FAX. If you are ordering more than 50 plants please contact us so we can make special arrangements for shipping. Please include a note to us at checkout including your desired shipping date and a list of desired bonus plants.